Since 2000, Larry and Mary Antonich have been harvesting apples from their 30 acre farm in memory of their son, Paul, who was tragically killed in 1996. 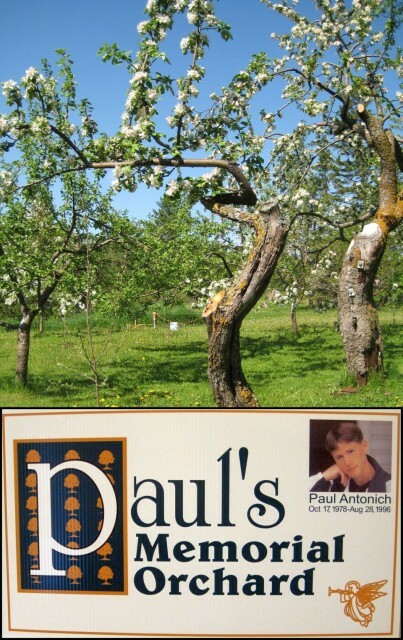 An apple orchard was a fitting way to remember Paul due to his love for apple trees and gardening. The farm also reflects their commitment to natural, organic local food and their belief in working hard to support others as “we are all in this together.” They look forward to increased production as the apple trees mature.